25 Mixars Duo Mixer with Free Serato Vinyl packages available. The integrated Mini-Innofader delivers super sharp scratch performance. Crossfader and line fader settings are easy to adjust on the DUO front panel. The MIXARS DUO is a solid mixer with phono/line inputs, mic input, XLR Output, Booth Output, USB2.0 Hub, integrated 24-bit/96kHz audio soundcard, analog low/high-pass filter on each channel and many other controls. Advanced users can custom map most mixer controls to many other third-party audio softwares. Considering purchasing the Mixars Duo Mixer with Free Serato Vinyl? Have questions? Ask people who've recently bought one. Do you own the Mixars Duo Mixer with Free Serato Vinyl? Why not write a review based on your experience with it. Great build quality, well thought out layout. 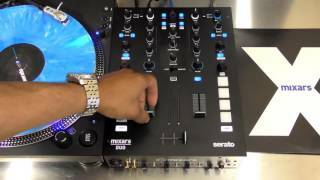 Seen a video for Mixars Duo Mixer with Free Serato Vinyl online or have you own video? 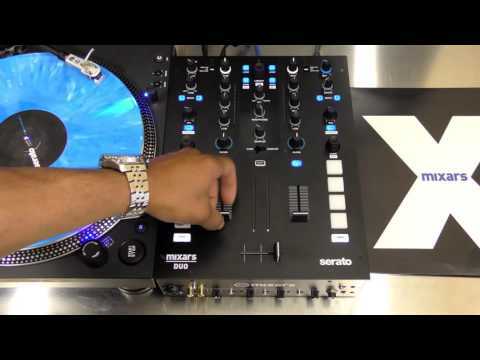 Check out Mixars Duo Mixer with Free Serato Vinyl on DJkit.com!